Professor Joaquin Dosil. Department of Developmental Psychology and Communication, University of Vigo, Spain. 1 Good eating habits in sport. 1.2 Balanced diet in sport. 1.3 Nutritional required by humans and athletes. 1.4 The need for ergogenic aids. 1.5 Nutritional information for athletes. 2 The importance of weight in some sports. 2.3 Weight-loss methods in sport. 2.4 The difference between ‘real weight’, ‘ideal weight’ and ‘sports weight’. 3 Eating disorders and the athlete’s environment. 3.2 Pressures in the athlete’s environment. 3.3 The prevention of eating disorders in sport. 4 Diagnosis and assessment of eating disorders in sport. 4.2 Diagnostic criteria for eating disorders in sport. 4.3 Methods for diagnosing eating disorders in sport. 5 Eating disorders in different sports. 5.2 The aetiology of eating disorders in sport. 5.3 Research into eating disorders in ‘high-risk’ sports. 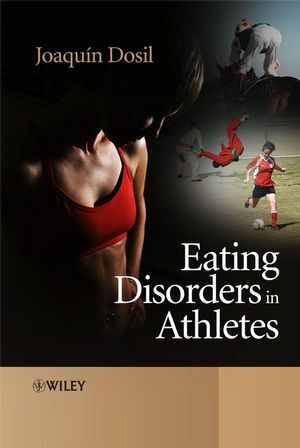 5.4 Eating disorders symptoms: the sporting discipline and gender. 6 Treating eating disorders in sport. 7 Cyberpsychology and eating disorders in sport. 7.2 Psychology and new technologies: cyberpsychology. 7.3 Cyber-sport-psychology and eating disorders. 7.4 The Internet: information about eating disorders in sport. 7.5 On-line diagnosis and treatment of eating disorders in sport. 8 Case studies in high-risk sports. 8.2 A case study of eating disorders in athletics. 8.3 A case of eating disorders in taekwondo. 8.4 A case of eating disorders in gymnastics. 8.5 A case of eating disorders in aerobics. 8.6 Sport: a solution to combat anorexia.